Installation art? 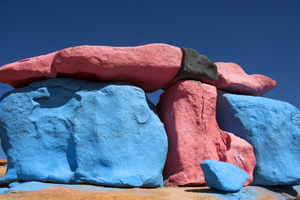 Rocks painted in the Amlen Valley by the artist Jean Verame. We'll spend a morning in the valley of the rocks photographing the abstract formations. 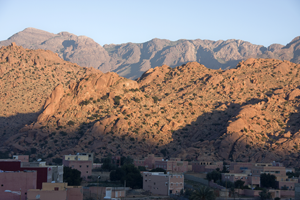 Surrounded from all sides by mountains, the en-route views to Tafraoute are extraordinary and best observed in Oct to March. Darren is a great teacher who organises workshops on different styles and takes you round and shows you the real Morocco off the tourist track. Travelling in a 4x4 with collection Marrakesh airport, we'll overnight in Marrakesh before heading to Taroudant early the next morning. During the course you'll be learning to develop your own Landscape style but there will also be the opportunity to photograph people along the way. The course includes airport collection & return, hotels and evening dining. Accommodation is in 3 star hotels recommended in Trip Advisor. The maximum group size is 4 and the course is ideal for those with some basic working knowledge of digital cameras and more advanced photographers. Let me know if you would like an extra night and one day camera workshop in Marrakesh before the tour starts. 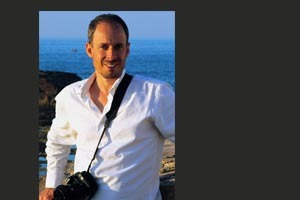 I’ve been running photography courses in Morocco via our holidays and tours since 2010. With my background as a teacher I'm passionate about encouraging and directing guests to excel. My professional career has spanned both television and photographic work including projects located in America, Palestine, Morocco and the UK. Images in the Sun - Our main resource for photographic learning and photo holidays and tours.